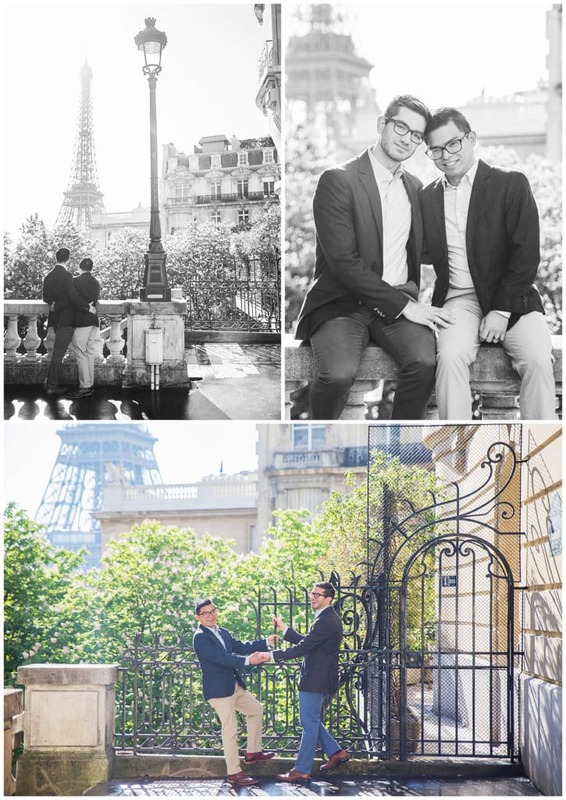 Andrew reached out to me several months before this romantic trip to Paris he has planned with his boyfriend Jose. 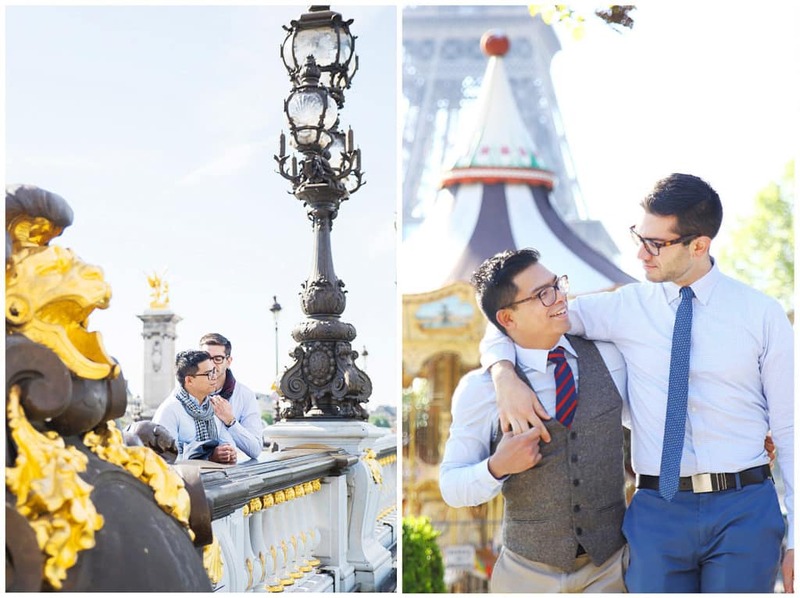 He was about to propose to Jose and wanted to surprise him with a beautiful gift: an engagement session in the City of Love. 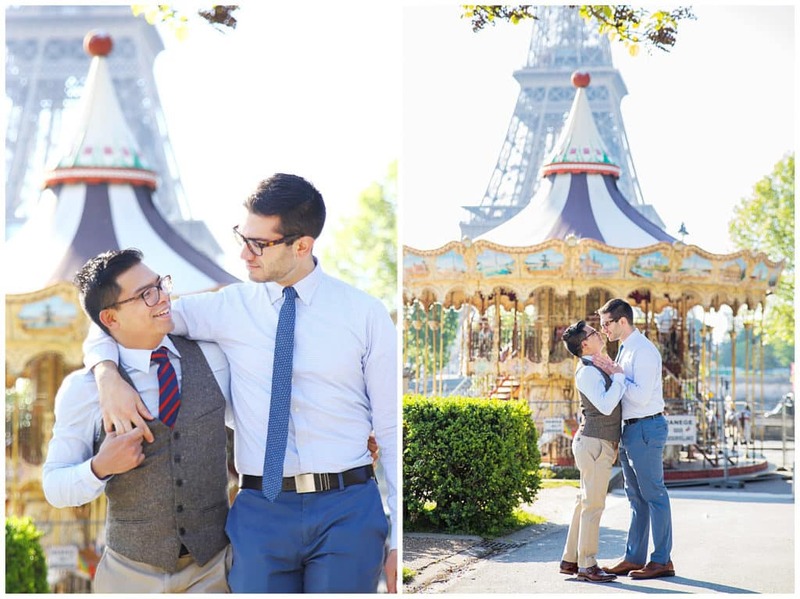 Of course, Jose said yes when the man he fell in love with 6 years before proposed to him, and then got down on one knee and asked Andrew to marry him in his turn! 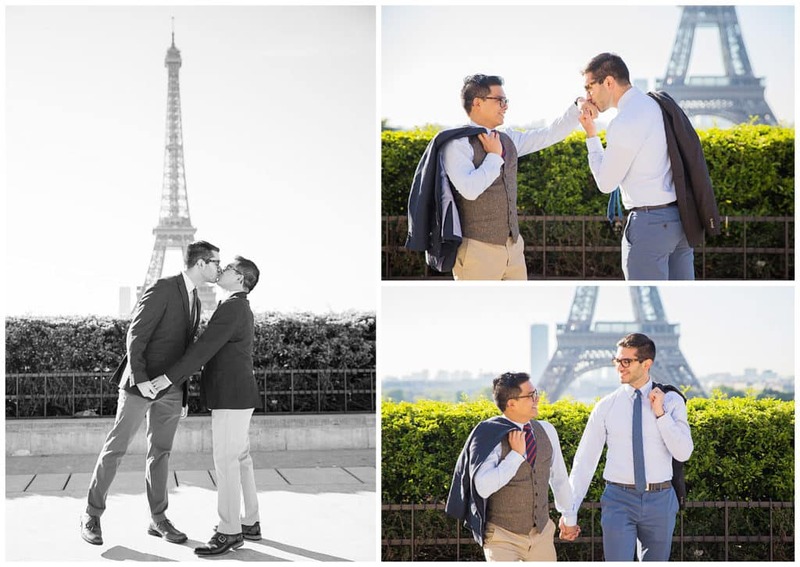 On D-day, we met at Trocadero to start off our photo session in Paris with the Iron Lady in the background. 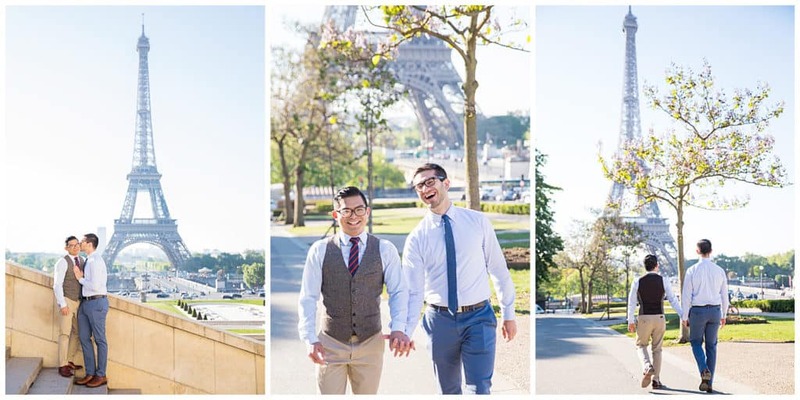 The energetic couple was glowing, as much as the sun shining in the sky on this beautiful day. We then walked to Avenue de Camoens which offers a different vantage point of the Eiffel Tower. 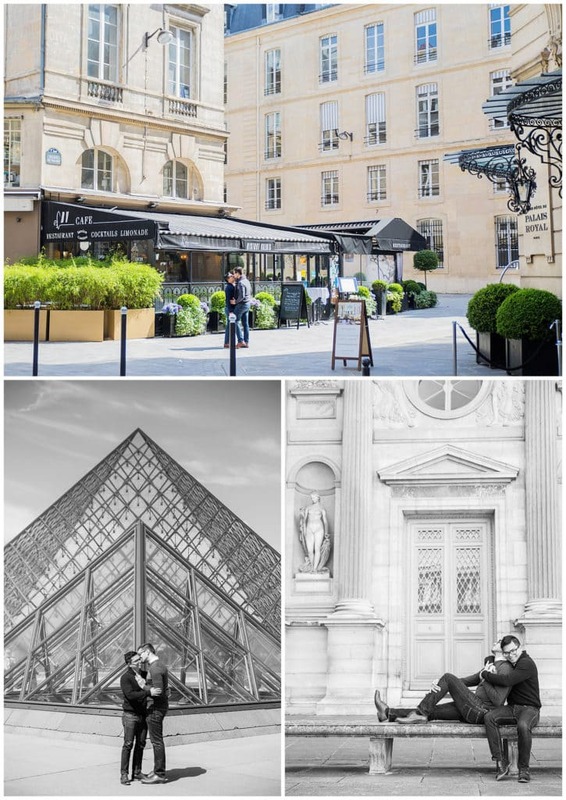 Paris is full of beautiful alleys that make perfect spots for a photoshoot. 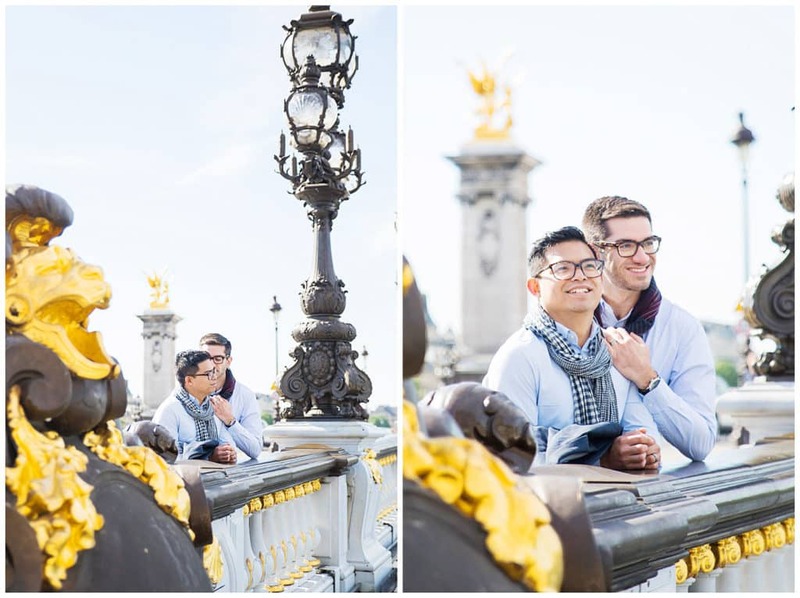 We stopped on Bir Hakeim bridge, followed by Alexander III bridge, for two very different looks. 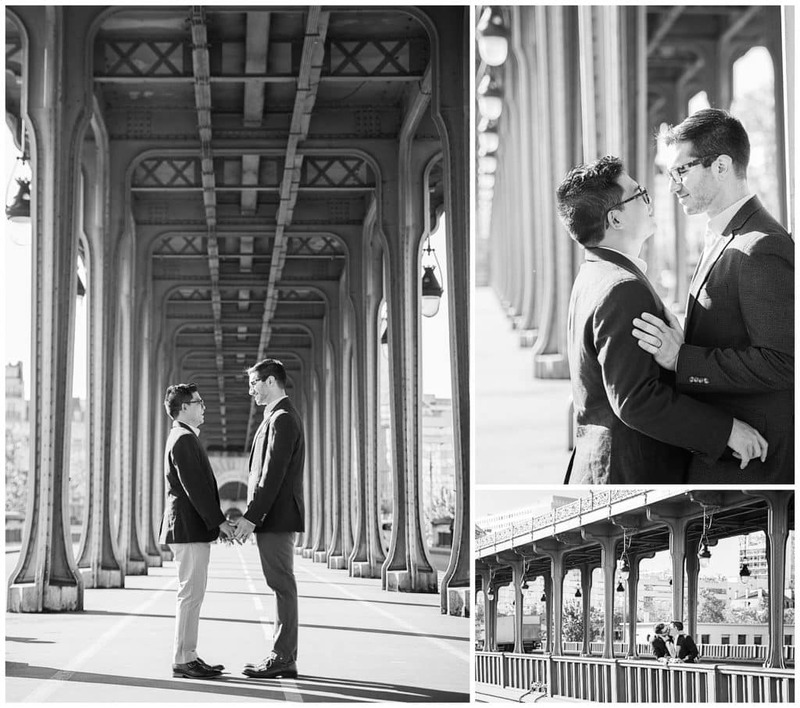 I never get tired of shooting this bridge with accents of gold and massive lampposts. 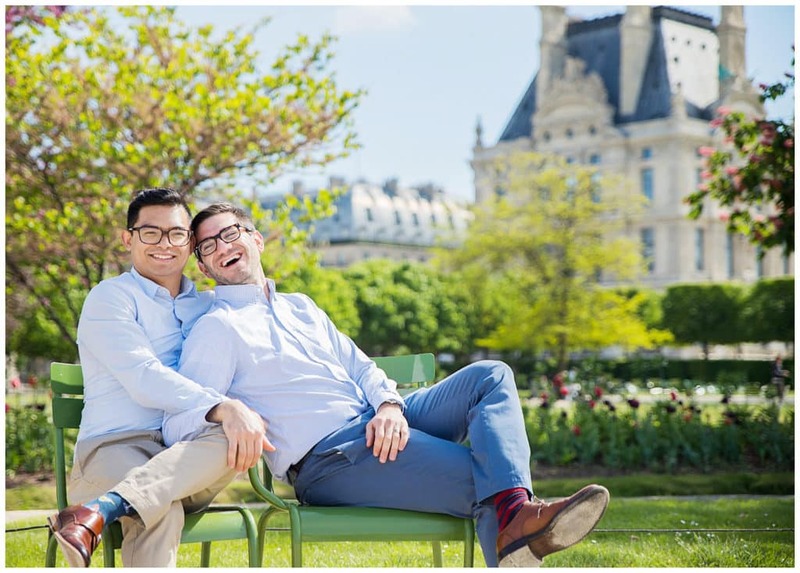 Then off to the Louvre pyramid, but first we strolled through the Tuileries Gardens for some park shots in one of the most beautiful public gardens of Paris. 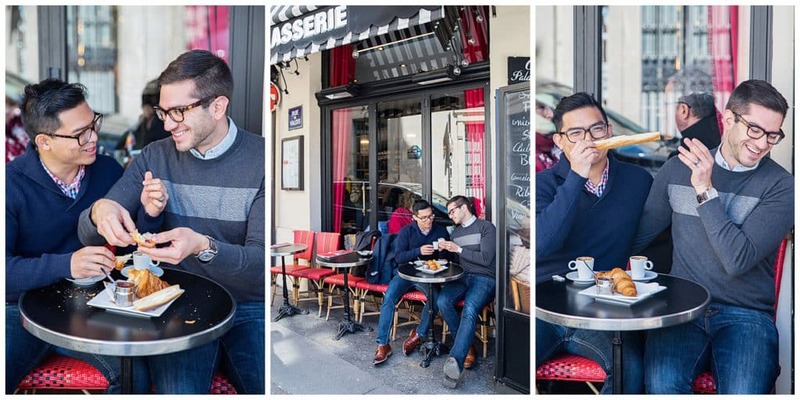 We had an amazing time with Marie; the experience of setting up a shoot and planning for the day was effortless, and we really felt that she took an effort to get to know us as a couple and as people even before meeting in person. 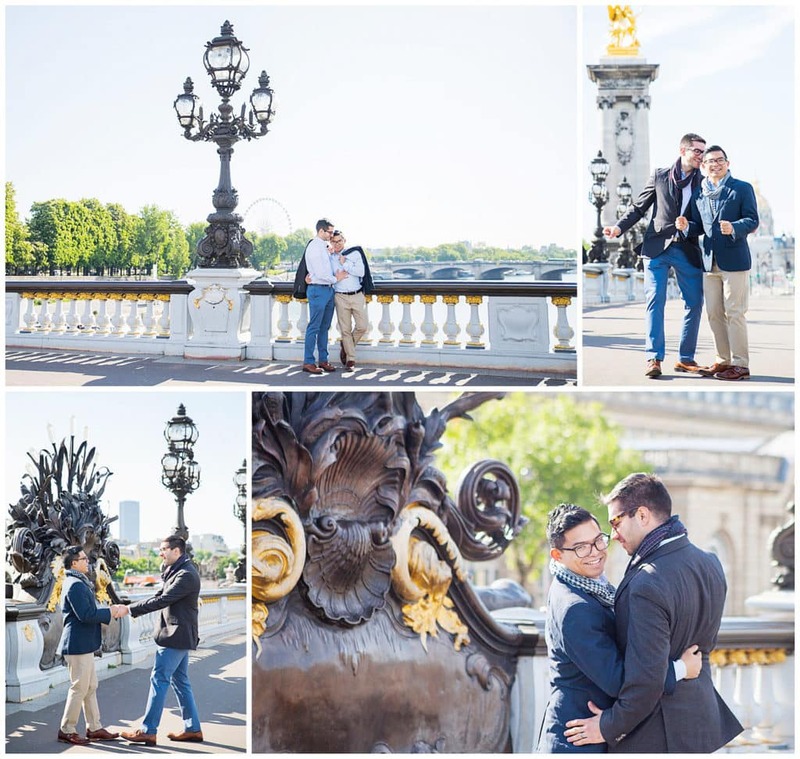 The day itself was magical, and we felt very at ease throughout the shoot. The whole day was very candid, which we really appreciated, because we didn’t want to be too posed or unnatural. We also appreciated how Marie did a great job of finding little spots that were out of the way to make our shoot really personal and unique!